I have to admit I have a weakness for some of the fake meat products. Not all of them, but a few are always stored in my freezer. On top of that list are the Veggie Sausage Links from Morningstar Farm. They taste as close to the real thing as you can get and are often on sale which is when I stock up. 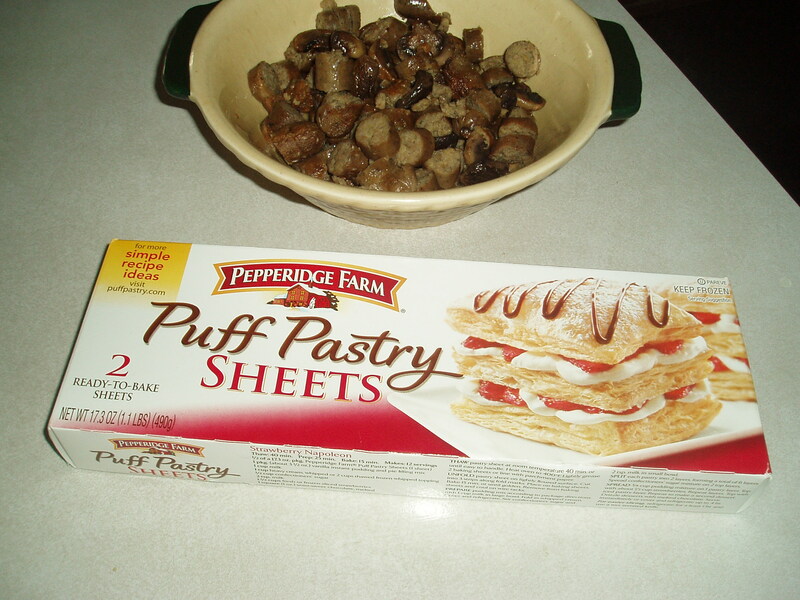 Over the holidays I’d bought some puff pastry that was on sale and thought about what I could make with these two items. After looking through my supplies I found a box of mushrooms and some onions. So I came up with this recipe. It’s really simple and looks a lot more fancy and expensive than it really is. Best thing is it’s ideal for Meatless Monday and there’s enough for two meals. Heat some oil in a frying pan and cook the sausage until they’re golden brown. Chop them into bite size pieces and set aside. 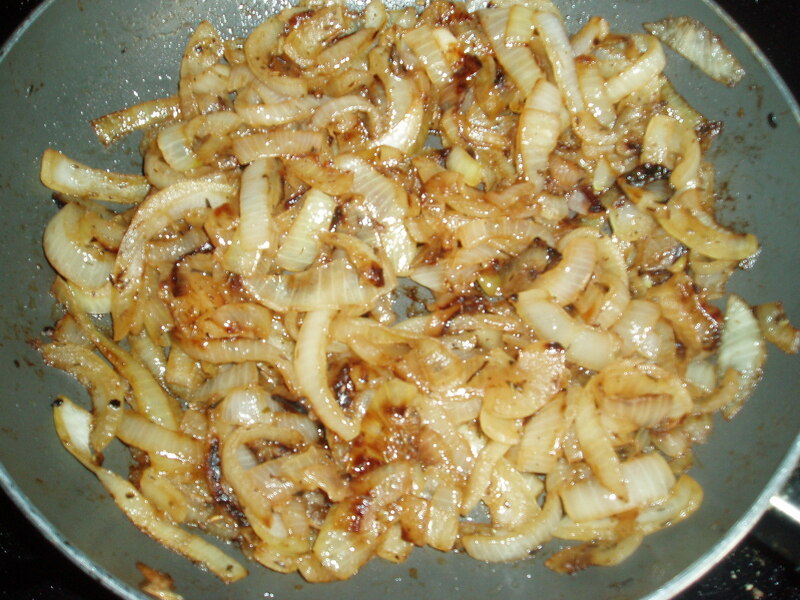 Add some more oil and add the mushrooms and cook until golden brown. Add them to the sausages, mix together. Roll out the pastry. I used two different shapes, one long rectangle and also two smaller round pies. 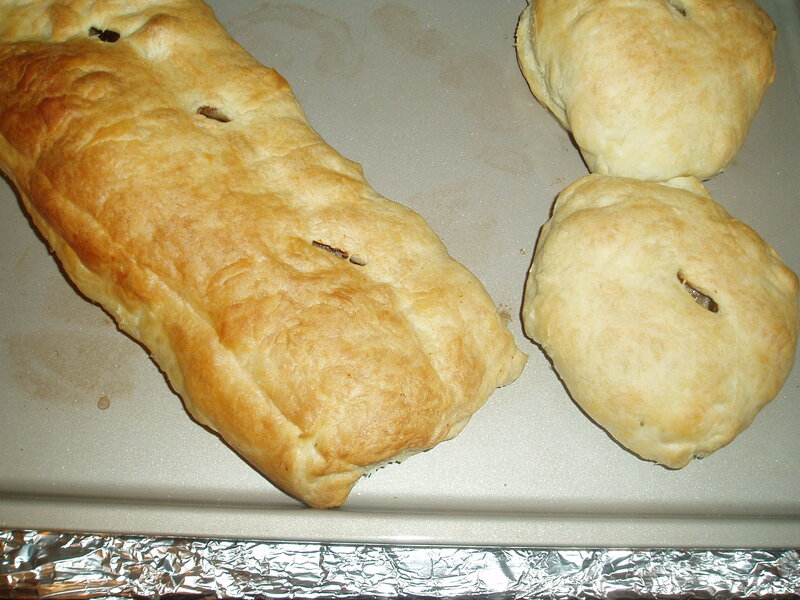 Just fill the pastry with the mixture and bake for about 30 minutes at 375 degrees. Heat some more oil and the butter in a pan and add the onion slices, add salt, pepper and thyme and reduce heat to medium and let the onion saute until they’re carmelized…about twenty minutes. Add some flour, stir and heat through and then gradually add enough stock to make a gravy. 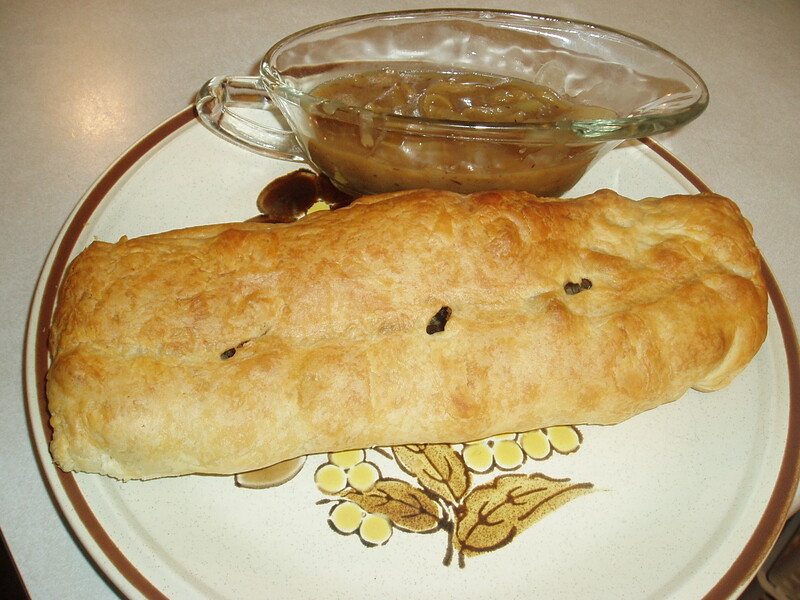 Remove pies form oven and serve with gravy and some mixed vegetables.